Just before the opening of the Olympics a Norovirus outbreak took place in Pyeongchang. Among the affected were members of the Olympics Organizing Committee, various personnel and cafeteria workers. The number of people affected doubled in two days. On a February 11 new cases were reported. 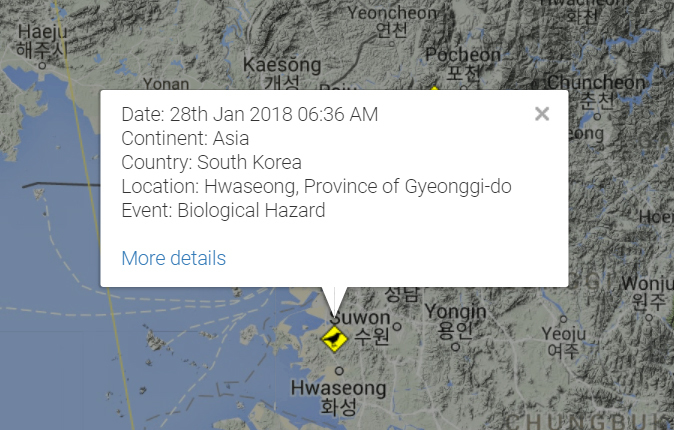 A total of 177 people are affected. Around 1200 security staff were quarantined and replaced by military personnel. Norovirus is a notorious stowaway on cruise ships. It spreads through contact with infected people or contaminated food, water or surfaces. "2018 Winter Olympics norovirus toll reaches 177"
These events at the Olympics happened in February and the current situation seems to be an increase of contamination. We checked the Alertmap of RSOE EDIS. A realtime and historical overview of worldwide disasters, emergencies, events and outbreaks. Something interesting showed up. 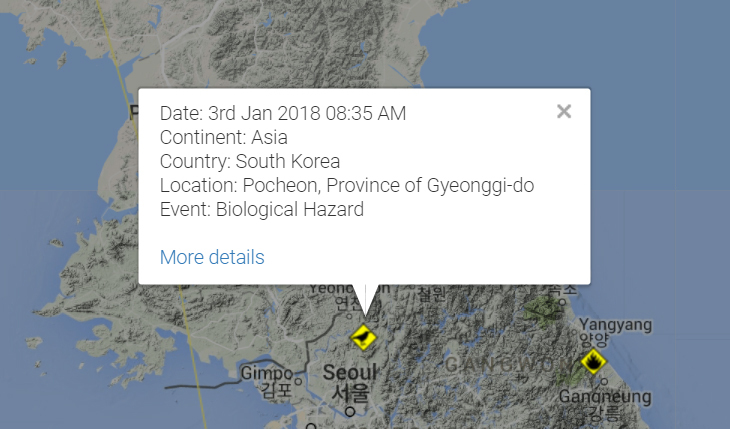 There were 3 Biological Hazard events in South Korea in January 2018. 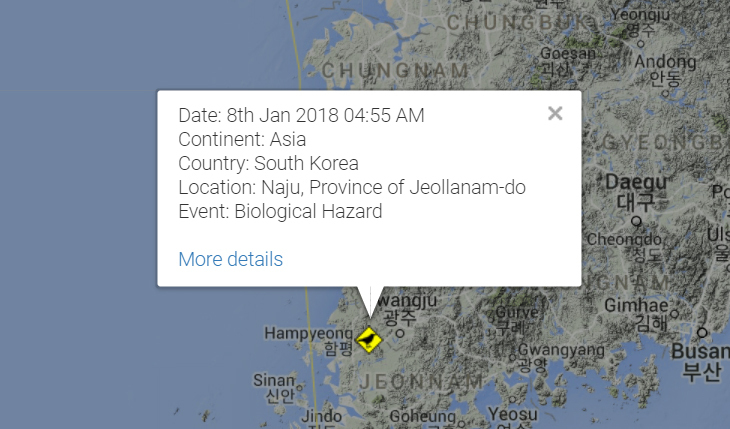 One of the events was nearby Seoul. Screen images from the RSOE EDIS website. Biohazard Level 3/4 - Hight. Disease, agent name A/H5N1. Biohazard Level 3/4 - Hight. Disease, agent name A/H5Nx. Biohazard Level 3/4 - Hight. Disease, agent name A/H5N6. If you're a time traveller from a type of '12 Monkeys' future timeline, then you know these events may have some dots to connect. If you're travelling back from Winter Olympics in Pyeongchang, then you may be a carrier. If you continue to use this site we will assume that you agree and are happy with it.